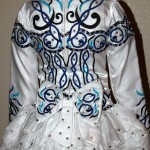 Dress in excellent condition. 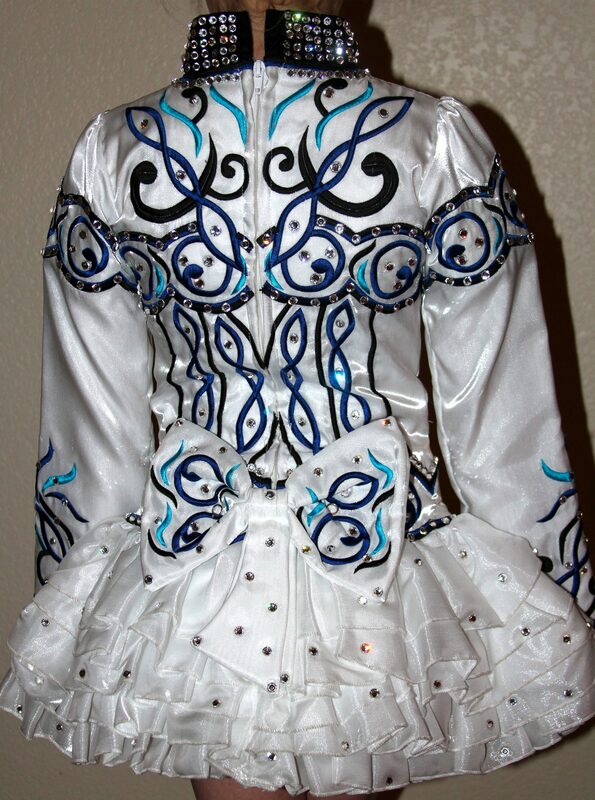 Elegant white satin with hundreds of Swarovski crystals applied. 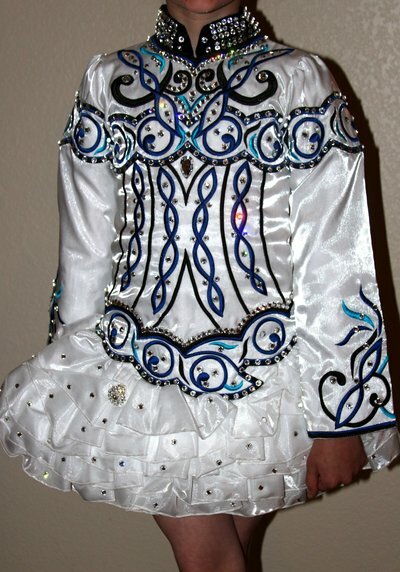 Worn by 5th place Oireachtas dancer at 2013 Worlds. Matching fabric headband and kick pants included. Made by Avoca 4/2012.